A Service Member Waives the Right to Change the SGLI Beneficiary – What Happens Next? February 2009: Service member changed his Servicemembers Group Life Insurance (SGLI) beneficiary (held with Prudential) from his spouse, Kathleen Mills, to his brother, Stephen Mills and did not notify his spouse. Issue: Kathleen Mills claims rights to the proceeds paid to the service members brother, Stephen Mills due to her late husband, Major H. Roger Mills, violating the restraining order (his action to change the beneficiary). She claimed that the change of beneficiary should be null and void because the service member waived his right to change the beneficiary (by entering the restraining order). Conclusion: Dismissed. Kathleen Mills has no claim to the life insurance proceeds, despite the violation of the state court order. Under federal law, the service member has an absolute right to designate the beneficiary of the SGLI policy. This life insurance is not treated like community property and in fact, cannot be seized for legal or equitable process. When Congress enacted SGLIA in 1965, it declared the proceeds are exempt from taxation and claims from creditors seeking debt repayments. First issue: Federal law prevails over state law. Ohio had no stance to approve a motion to waive SGLI in the first place. In most cases, when two parties agree to something, it becomes a binding contract. However, two people cannot enter a contract that is in itself—illegal. The restraining order would have been upheld for personal life insurance policies, but not SGLI. Second issue: This deals with protecting the intentions of the restraining order, in essence—an equitable agreement. When the spouse and service member were placed under this order, the understanding was that Kathleen Mills would remain the beneficiary. Clearly, and injustice has been done. But to whom does Kathleen Mills address her claim? Kathleen Mills has in a sense become a ‘creditor’ seeking payment and as such will have no claim under federal law. Her claim would fall to state level, a claim against the estate of the deceased Major H. Roger Mills (excluding of course, all life insurance proceeds). Since the case was against Prudential Insurance Company of America and Stephen Mills, we can see why it was ultimately dismissed. There is no claim to be upheld against either party. Prudential Insurance Company has done nothing wrong. They paid the beneficiary designated by federal law. The beneficiary has done nothing wrong. He received the money due him per the policy. What’s to be Done to Protect the Military Spouse? 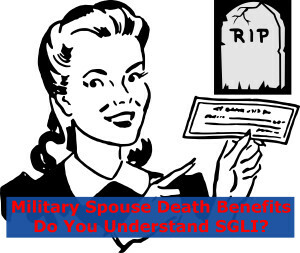 Every current military spouse and former military spouse should be aware that they are not protected by SGLI in any sense. The service member (per U.S. Supreme Court decision Ridgway v. Ridgway, 454 U.S. 46, 102 S. Ct. 49 (1981)) has an “absolute right” to change this beneficiary at any time. In addition, no federal cases have been noted where a service member has waived the right to designate a beneficiary. If you are a divorced service member or former military spouse with language in your decree discussing SGLI, you might want to review it and discuss any questions you might have with your lawyer. While we await news of the proposed military spouse SGLI, one way to protect the military spouse from these perils would be to negotiate for the spouse to own a private life insurance policy on the service member. The service member might need to complete medical tests, and the parties would also need to negotiate who should pay the premiums on this policy. You are entitled to your opinions, however I challenge your ability to question my ability to determine that I misunderstood anything on my part with regards to USFSPA Killer. I believe I gave a valid answer to a sneering question. Regarding your American History lesson to me, I am aware that Congressman Cummings is a Member of the HR. 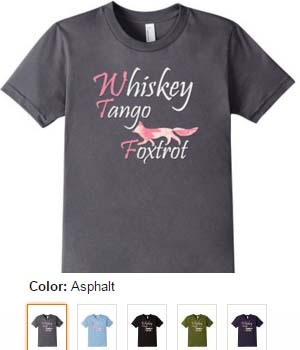 If I created confusion in how I used my words, I stand corrected. Congressman Cummings in fact will be taking this to the Senate Committees which are deemed appropriate to raise awareness, and garner support. I did not mean to convey that he was a member of the Senate. I also appreciate your attempt at empathy in stating “everyone feels your pain”, however once more you stand corrected as someone who speaks for “everybody”. That statement I find to be dismissive when used with communication and untrue. Please believe me when I tell you, I am not in pain. Just because I am an Advocate on behalf of Military Spouses does not mean I am in pain. I can be passionate, determined, insulted, undeterred, however I am not in pain…that ship has sailed. I lived a blessed life, and believe that God does not call the qualified , He qualifies the called. What I went through personally and professionally qualifies me to advocate for those who currently are in emotional pain and have lost their voice. In addition your last statement shows it is truly you that misunderstands the issues I represent. I am an advocate for the Abandoned American Military Spouse. A spouse who is trapped between being married, yet being denied their military benefits. My efforts if successful will benefit all spouses from simply being discarded without the benefit of legal adjudication. 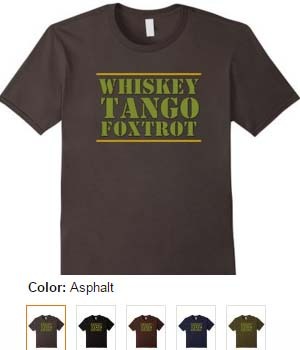 You can find more on this by going to the DoD website http://www.militaryonesource.mil. There you will find an explanation on this matter. “there is a true need for companion legislation in both entities of Congress which will assist in combining the agreed legalese before sending it for the President’s signature.”…you can get involved. Thank you for taking he time to write. Just a second – military spouses don’t earn any military benefits – military benefits are a privilidge granted through the military member’s contractual service to the government. Military spouses do not have any legal contractural releationship with the government. Military spouses can and have had their military benefits – i.e. privilidges – revoked for cause. Military spouses may keep these benefits while they are legally married to a military member, but once that marriage ends in divorce, the military spouses benefits also must end by law. I do not believe I expresed that military spouses “earn any military benefits”. Upon divorce certain spouses retain benefits,such as health care due to the 20/20/20 rule,and other such benefits that do not end just because the marriage ended. I am going to encourage you to re-read this article. In fact it is written to protect the current spouse, as opposed to the former spouse. There are always challenges with blended families, and based on your comments you feel that the former spouse is “always trying to cause problems”. As in all of life’s situations that is unique to the people involved. My Military Spouse Protection Act is written based on the orders of the JCMJ, Family and Paternity Regulations, and Congressional Law. The issues arise for the military spouse when they they are not enforced, or they are ignored. Ironically you also are a military spouse, and hopefully after many years of marriage, deployments and the hope for a happily ever after, that doesn’t become you on the curb. Did the President ever answer your letter request to enact a “Military Spouse Protection Act” ? Please allow me to share what an Open Letter is intended for. As a last resort to ask the public to judge the letter’s recipient or others involved, often but not always, in a critical light. As an attempt to start or end a wider dialogue around an issue. As an attempt to focus broad attention on the letter’s recipient, prompting them to some action. Simply to make public a communication that must take place as a letter for reasons of formality. Many of the epistles of the Bible (such as the Pauline epistles) are open letters. Bill Gates’s Open Letter to Hobbyists (1976) attacking copyright infringement in software development. As you appear interested in The Military Spouse Protection Act, it is with much excitement that I inform you that last week I met with Congressman Elijah Cummings and others. Congressman Cummings has taken my proposals and is currently drafting them into the appropriate legalese in order to help the Senate understand the need for such an Act. I could feel your sneer toward me with your question however I would expect as much from someone who cannot use their real name when communicating in this type of “hit and run” communication. Your perception that “USFSPA Killer” was sneering at you is a misunderstanding on your part. Whoever “USFSPA Killer” is, they asked you a valid question and deserved a valid answer. Everyone feels your pain of what your late husband did before his tragic death. HE “sneered” at a Court order, even one with which HE had input. Let me clear up a possible confusion about your statement, ” Congressman Cummings has taken my proposals and is currently drafting them into the appropriate legalese in order to help the Senate understand the need for such an Act.” Congressman Cummings is a Member of the House of Representatives, one of the two entites of the federal Legislature. The other entity is the Senate. Congressman Cummings isn’t a member of the Senate. Yes, there is a true need for companion legislation in both entites of Congress which will assist in combining the agreed legalese before sending it for the President’s signature. Wishing you the best in your efforts to assist those military spouses whose marriages remain in tact “until death do they part”. You need to calm down and stop spewing your vitriolic jiberish !